1960s Round Blue Hippie Fancy Dress Accessory Glasses. Perfect for Hippie themes, Festivals or any fancy dress occasion! 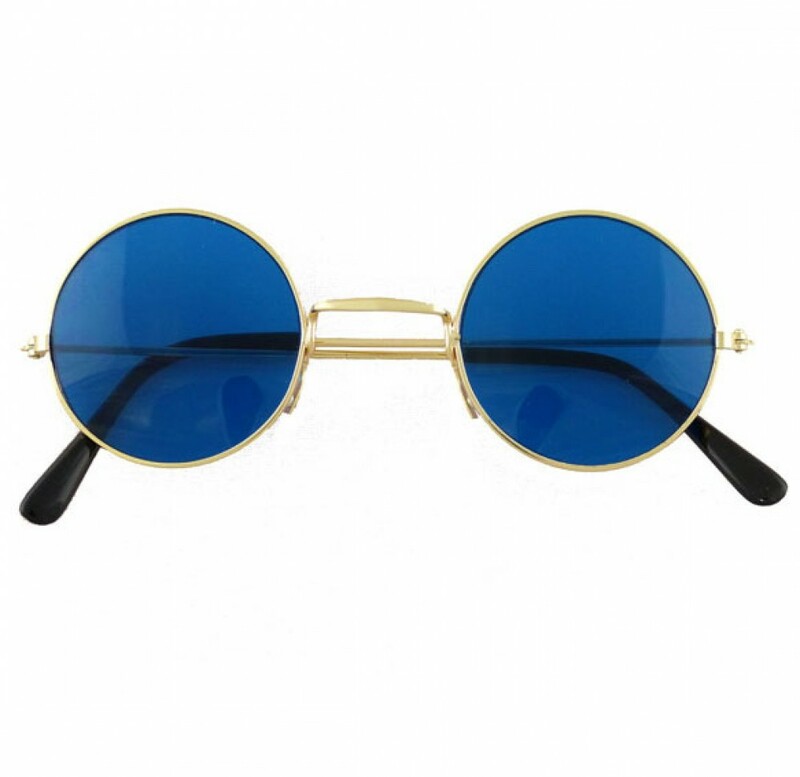 A pair of round fancy dress glasses, with Blue lenses and a thin gold metal frame with plastic tips so they are comfortable to wear. A fun fancy dress accessory for a Hippie theme, Beatles fancy dress & perfect for festivals!